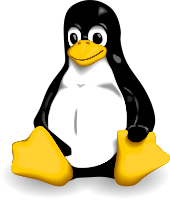 Linux servers often run the most critical applications. Proactive monitoring brings increased uptime, faster fixes and more profitable IT services. GFI MAX RemoteManagement will soon monitor, report and alert on all important aspects of Linux servers via the dashboard. Coming soon, the beta agent will cover Red Hat, Cent OS and FC. Following the beta launch, we’ll develop SUSE, OpenSUSE, Debian and Ubuntu monitoring. So, if you’ve got a number of different server systems you will soon be able to keep your eye on ALL of them from one dashboard. GFI MAX RemoteManagement’s 24×7 monitoring will alert you to problems with your customers’ servers. You’ll always know about an issue before they do, so you can fix problems fast and minimize their business disruption. What’s more, using the Daily Safety Check you will gain an excellent understanding of your clients’ servers. This means, when it comes to pricing a full-fledged Managed Services contract, you have all the information needed to make an accurate assessment. Anything that can be scripted. Learn more about GFI MAX RemoteManagement. This is great news! It’s about time! This would certainly improve efficiency a great deal. When is the target date on the release? How would it be rolled out? Any demo videos to be released when it’s out? Or any demo period? What are your plans? This is quite a tease and I’m certainly stoked. Anyone who’s anyone who experienced the inconvenience of having to go through different monitoring tools will certainly think this is heaven sent! Now, the question becomes, and this would be the most important one for management, how much would it be? And how much would it save in productivity and security if we acquire one? Always happy to see another big application adopt Linux support! I think this will only help admins and sysops to make their servers and systems run even smoother, and detect any anomalies well before they become full-on catastrophes. Any additional features for the Linux builds? Thanks for the comments, everyone! Glad you’re excited. We made sure to include some actual product shots so you could see that this isn’t vaporware! We’ll release a complete demo video on installation and configuration after the beta comes out in the next few weeks. Very exited to see GFI Max bring on Linux monitoring abilities. Any Idea when Ubuntu will be added? Keep up the great work.